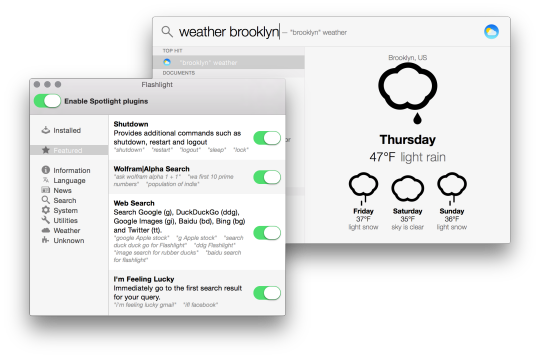 The missing plugin system for Spotlight. 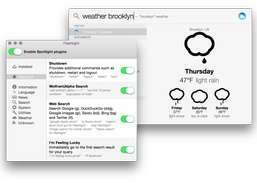 The missing plugin system for Spotlight. Flashlight is an unofficial Spotlight API that allows you to programmatically process queries and add additional results. It's very rough right now, and a horrendous hack, but a fun proof of concept. Create your own interactive components and integrate them easily.